HDMI port supports 1080p60, 720p60 and all common video formats. High Quality MJPEG encoded video up to 1080p30 on the USB port. HDMI audio support - embedded audio in the HDMI signals are extracted and output as two-channel LPCM. Digital Fluid technology - Internal frame buffers maximize frame rate with any PC. Hardware-based color space and sampling conversion. Automatic scaling and frame rate conversion. Image controls: brightness, contrast, saturation and hue settings. Supports multiple devices on the same PC. Powered from USB 2.0 port. Compatible with Windows, OSX and Linux. A USB 2.0 cable is included. 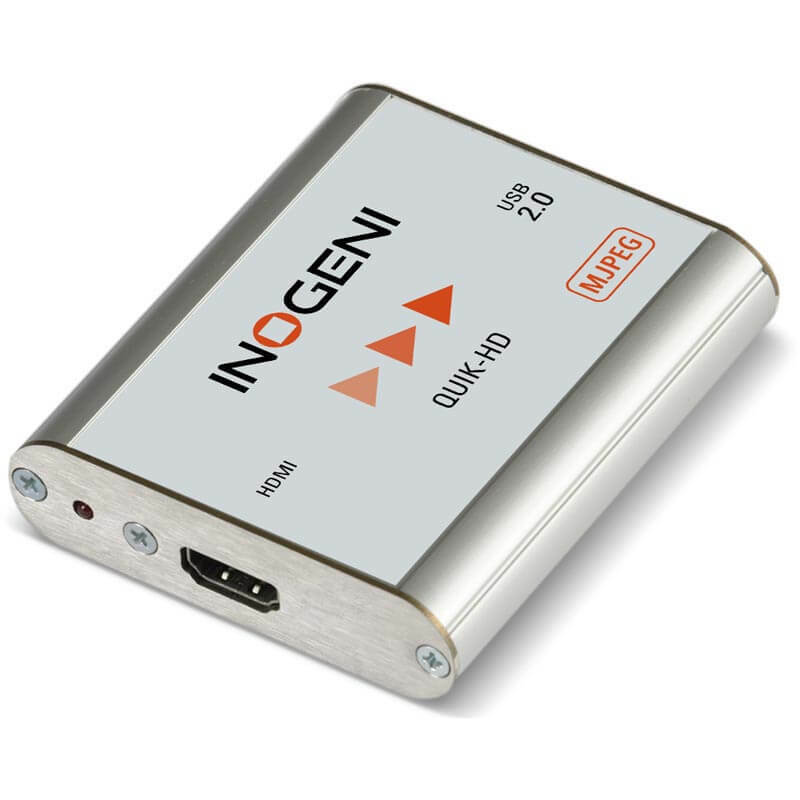 The INOGENI HDMI to USB 2.0 Encoder is the most reliable and convenient solution to capture high quality HD video with audio over USB 2.0 from your camera's HDMI output for recording, editing, videoconferencing and streaming applications. It is compatible with Windows, OSX and Linux operating systems. It requires no driver and works with all applications such as Skype, Zoom, Hangout, Facebook, YouTube and many more. It is the best capture solution for legacy systems with only USB 2.0 ports (see Inogeni USB 3.0 converters for uncompressed capture).